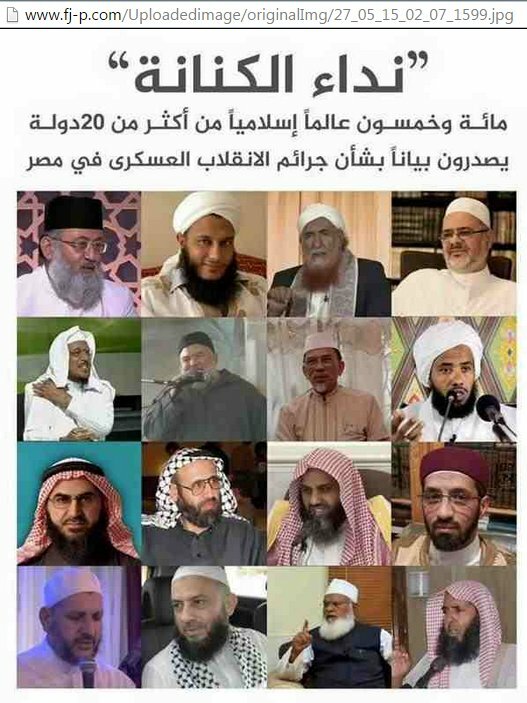 150 nation scholars related to Muslim Brotherhood, call for killing Egyptians who participated in 30/6/2013 revolution. On 28 May 2015, Muslim Brotherhood organization and their political party “freedom and justice”, declared that they officially welcomed the statement issued by their “nation scholars” entitled “Nidaa Alkenana”(means Egypt’s call), which called and incited for direct confrontations by all means including armed confrontation with the Egyptian state till Muslim Brotherhood and Mohamed Morsi are back to power again. In addition, Muslim Brotherhood and their political party mentioned that they approved their nation scholars legitimate opinion, which they believe it’s according to Islamic Sharia Laws, that the entire regime in Egypt including judges, military, police officers and soldiers, clerics, media and journalists, politicians and anyone in Egypt who did participate in this “military coup” against Mohamed Morsi even if it was just inciting, they will be confronted with revenge and they deserve to be killed according to “Sharia Law”. Muslim Brotherhood also declared that they consider this confrontation as a self-defense, legal and legitimate resistance against the “bloody military coup in Egypt”, and they will never give up this confrontation no matter the sacrifices are going to cost. Muslim Brotherhood confirmed that they will be able to break and topple the current Egyptian state and get back the legitimacy of Mohamed Morsi. 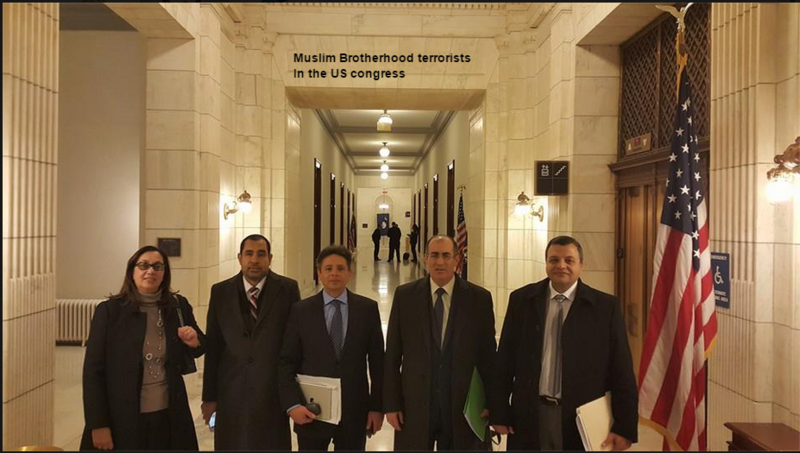 Muslim Brotherhood called every Muslim not just in Egypt but in the entire world to fight and kill everyone who participated in this “military coup”, because it is a duty on every Muslim, till they break the Egyptian current regime and get Muslim brotherhood to power again. 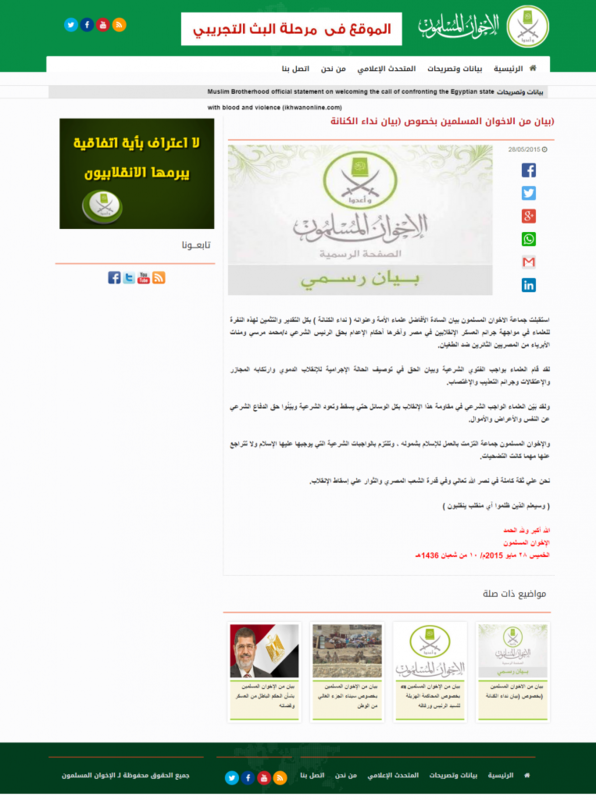 The above is a brief translation of Muslim Brotherhood official statement on their official website dated 28/5/2015, link: BrotherhoodStatements/50/Default.aspx), in addition to Muslim Brotherhood official statement on their official political party’s website “freedom and Justice party” dated 27/5/2015, link: (http://www.fj-p.com/headline_Details.aspx?News_ID=70528). On 27/5/2015,  nation scholars from about 20 countries signed an official statement declaring the call of Islamic Jihad against everyone in Egypt who toppled Muslim Brotherhood regime, and to confront them by all means including killing, till Muslim Brotherhood and Mohamed Morsi are back to power again. They claimed in their statement that killing everyone who participated in this “coup”, does match with Sharia laws in this regard. 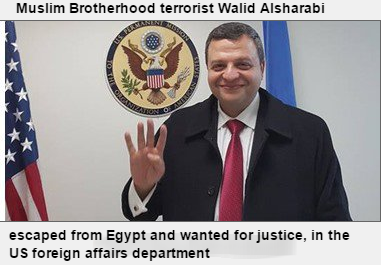 On 27/1/2015, Muslim Brotherhood announced on their official Website Ikhwanonline.com, the Islamic Jihad against the Egyptian state, it was just two days before the terror attacks in Al-Arish Sinai which took place on 29/1/2015, and resulted 30 killed from military, police forces and civilians including children, in addition to more than 70 injured and 29 unidentified bodies, after the fall of rocket-propelled grenades on security and residential premises. What is the reaction of Obama or his US administration after this second statement of MB that is directly not just inciting on telling every Muslim in Egypt to kill, but it’s ordering every Muslim in the entire world to kill and to consider it as a “Muslim duty towards God”?! What is the reaction of the president of the German Bundestag (German parliament), Norbert Lammert‘s towards this direct order to kill, especially after he declared recently that he is not going to meet President Sisi during his visit to Germany in early June, because he is obviously biased to Muslim brotherhood terrorists and not to the Egyptian judiciary system independence, despite that President Sisi didn’t ask to meet this guy in the first place during his visit to Germany?! I wonder is there any US or any European officials who support Muslim Brotherhood so blindly and fiercely, whether or not feeling any embarrassment or any shame in front of their own people, or even in front of their toilets mirrors?! Hello! Any one out there? Where are all these international human rights organizations, when such statements are addressed to terrorize mankind and directly incite to kill people? We only hear their ugly voice just when it concerns supporting and sponsoring murderers and terrorists, but never the victims of terrorism?! On 29/4/2015, US today published the arrest of an American woman in East Point, Ga., for just trying to incite people to kill all white police officers in a social media posting. Please any sane man or woman, explain to me what is the difference between this American woman’s incitement to kill through the social media and Muslim Brotherhood who are not just inciting to kill through the internet, but they actually do kill people in Egypt? All those who support terrorism in the entire world, they are nothing but a LIST OF SHAME. If there is anyone out there who doesn’t believe yet, that Muslim Brotherhood never gave up violence like they are deceiving you, or you don’t believe that Muslim Brotherhood, ISIS, Al-Qaeda, Boko Haram, Hamas and you name it, are just different names to one bloody ideology, please remember this: “Harboring Terrorists Begets Terrorism”. The following are screenshots from Muslim Brotherhood official statements on inciting to kill Egyptians and their incitement on the destruction of the Egyptian state.